but forever reinventing oneself along the way. yesterday. Porsche would not be Porsche. And you would not be you. We’ve opted for that of a sports car. 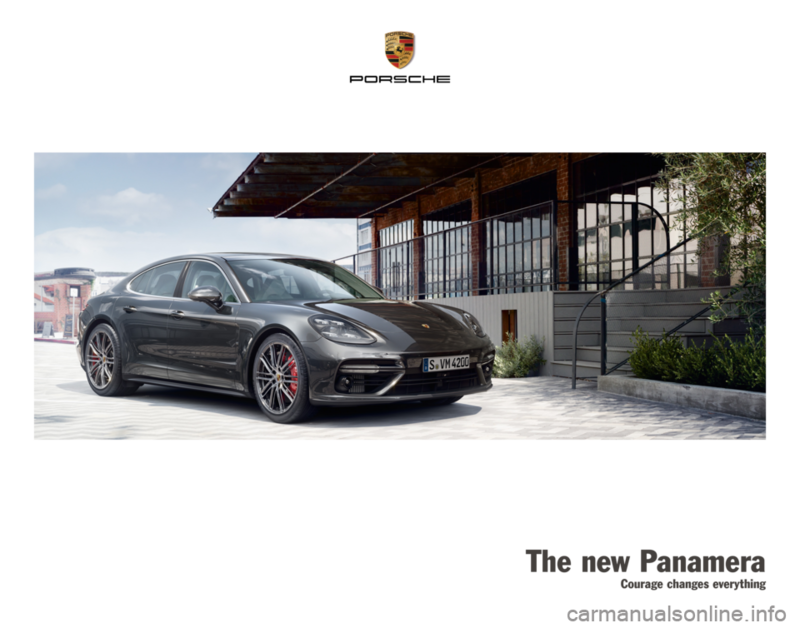 The Panamera. It changed everything. personal life – found its automotive match. the road, something is happening again. the courage of a new generation. a power output of 404 kW (550 hp). at the rear axle at high speeds. the road by 19-inch Panamera S wheels. tailpipes are fitted left and right. with the higher power output of this model. For fuel consumption and CO2 emissions, please refer to page 22.
and nevertheless remains typically Porsche. The most striking feature of the rear seats? woods, aluminium or carbon? More sporty? and comfort. Not so typical of a sports car. Absolutely typical of the new Panamera. modern as only it can be. navigation map or Night Vision Assist. touchscreen display of their own. everyday life quick and easy to overcome.